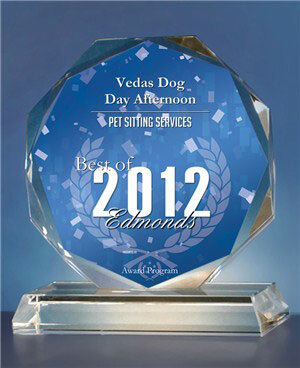 After a lifetime of loving all animals, in 2003, I started Veda’s Dog Day Afternoon. 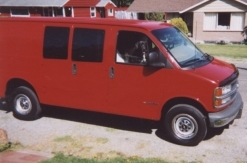 With the help of my trusty canine co-worker Bandito and my customized pet van, I’ve provided excellent personalized care for animals and their owners since then. 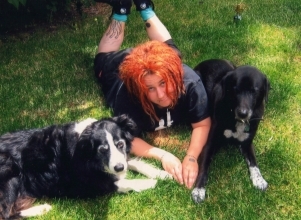 1998 to 2003, I volunteered at PAWS Wildlife helping them to rehabilitate injured and orphaned animals brought in with the goal of releasing them back into the wild. I also have worked as a healthcare professional with developmentally disabled adults for 16 years, learning sign language and other nonverbal communication which I now use with my pack on a daily basis. Who will be the next to join my day?